Litesh Jethani is Co-founder and Director at Trip Navigator, an online platform which offers a one-stop solution for end-to-end planning and management of corporate events. He, along with Gavin DCosta and Abhishek Gupta co-founded Trip Navigator in November 2011. 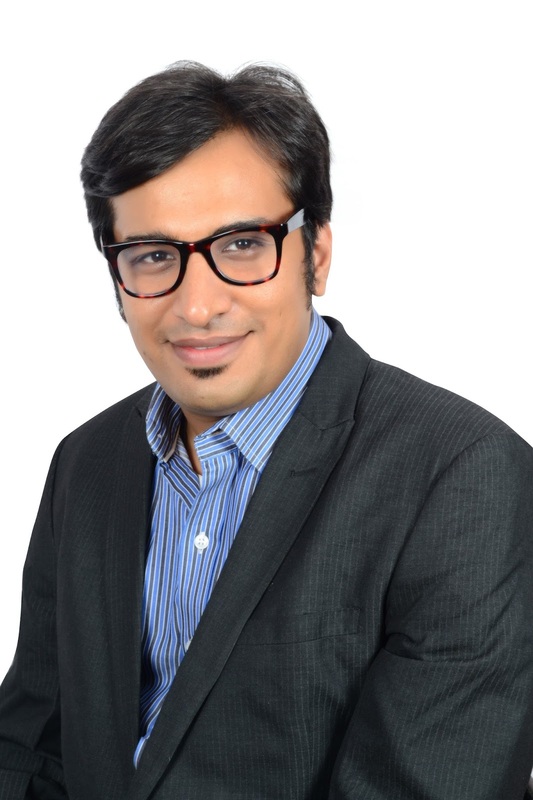 Litesh is extremely passionate about brand building and business enhancement and holds a Masters’ Degree in Brand Management from Mudra Institute of Communications. He has spent more than 10 years in the industry with various media houses. His last assignment prior to starting Trip Navigator was as a Marketing Head (West), with Red FM. The corporate event management and MICE industry in India primarily consists of offline players, who generally take a minimum time of 3-4 days to come back with quotes for various aspects of event planning – from bulk booking rates for travel and hotels, to finding team building activities and other fun activities to plug into a corporate outing. The team at Trip Navigator claims that they are able to provide all this information at the click of a button, as well as offer rates from multiple service providers so their users can compare and select the ones that suit them the most. The web interface of Trip Navigator lets companies plan events – both within India as well in multiple international locations, with significant amount of ease. In addition, the user- friendly mobile app of Trip Navigator helps event organizers and attendees engage better with each other and conduct the event more effectively with the help of their smartphones. This is the reason why Trip Navigator calls it a first of a kind offering in the Indian MICE industry. In an exclusive email interaction with The Motiverge; Litesh Jethani, Co-founder and Director at Trip Navigator tells more about the venture, journey so far, and future plans. TM: Tell us more about Trip Navigator. Could you throw more light on the partner and member benefits and packages for corporates? Litesh: Trip Navigator was founded in November 2011 by Gavin DCosta, Abhishek Gupta and myself, Litesh Jethani. While we initially started operations like any other travel company, managing individual travel as well as corporate travel, we soon saw a business opportunity and a gap to fill in the MICE (meetings, incentives, conferences, events) sector. 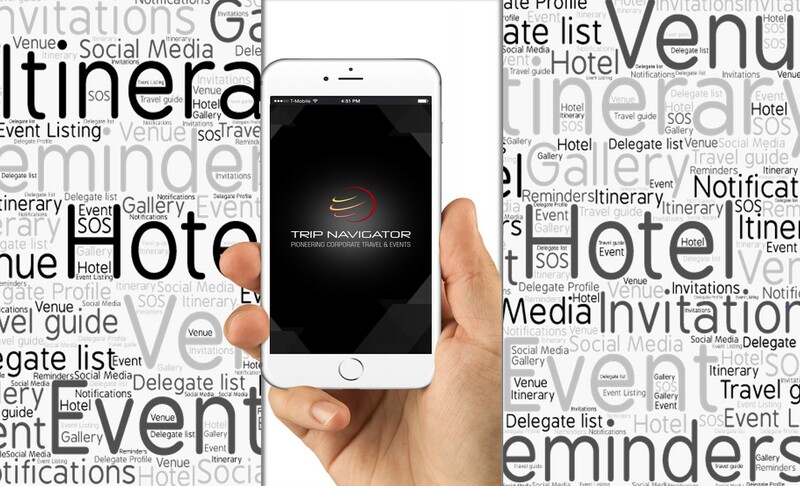 Currently, Trip Navigator functions in the Corporate Travel and Events space, offering new and innovative services to our corporate customers and constantly innovating in the world of MICE through the use of technology. We don’t have any packages which are ready for corporates, everything we do is Bespoke. The advantages which our corporate customers experience are simple and fair itineraries, which are well suited to the taste of the entire group. Our focus is to go beyond offering something which is suitable only for the front-end sales team or the back-end or the operations team of a company. Customer profiling is a major focus while deciding and recommending a particular destination or plan. Litesh: We all are entrepreneurs in some way or the other, that’s why we are hired by someone to manage a function or vertical. It’s only about gathering the courage to detach yourself from a comfortable job and get into new boat which you don’t event know how to row or where to row to! It turned around for me when we realized that an opportunity is knocking the doors and this business pam in particular looks absolutely doable. It was the time when I could clearly see the genesis of Trip Navigator, while I was still working for someone else. Just then we came together and took the oath of building a strong and focused travel company. Litesh: Every time I give a number it changes the next day; every time we freeze our capacity-plan, it changes; not that we don’t know how to measure it but we somewhere undermine the favorable market forces. We have grown from 3 people company to a 34 people company and are always hiring and are always on the lookout for more people across Mumbai, Delhi, Hyderabad, Chennai and Bangalore. TM: How Trip Navigator is creating a one-stop platform for corporate travel and event management? How does it work? Litesh: Our website offers information on over 240 international and domestic readymade solutions for our corporate MICE customers. In addition, we also have key information relevant while planning a MICE or corporate event, like the number of rooms, banquet seating capacity, etc. on our website, which can better help them make informed decisions during the planning stage. Furthermore, we offer ideas on event setups, performance artistes as well as merchandising vendors which are required when putting together a corporate event. We also aim to help streamline the process of event execution for our corporate customers, with the help of our mobile app. Coordinating across multiple event organizers and attending delegates is one of the biggest challenges experienced by corporates during the event execution. However, with the help of our mobile app, all information about the event can be tracked right from the smartphone, including food and room preference of the delegate list, managing the arrival of delegates at the airport, and even performing express check-ins immediately upon arrival through a unique QR code. The mobile app also provides an itinerary to all participating delegates, keeping them updated on a real-time basis about various activities taking place. It also allows event organizers to push notifications and alerts to individual delegates as well as broadcast to all participants conveniently. TM: How has been the journey so far? What are the challenges faced in your journey as an entrepreneur? Litesh: The journey has been super fun, from traveling with groups and food tasting sessions to boardroom meetings, client servicing and endless check-lists, but I can never say that we have done it all. Every day is a new challenge, as the nature of our business doesn’t let us repeat SOP; everything every time is just so different, the challenges are multifold – some of them have been to put a method to madness, preempting possible errors, understanding the client requirements even if he or she is not able to put it into words. Making a group of people on an outing is like market research – we have to gauge the customer response and reaction and change things as per their individual likings. Another challenge is to manage the rapid growth which our company is experiencing, in terms of revenue and team size. This leaves us with very less time to strategize and plan and be prepared, but then it teaches us to think on our feet and then react to situations and problems just like a rapid fire round! Litesh: India, being one of the fastest growing economies in the world, offers significant growth opportunities. A booming business sector automatically spurs demand for MICE travel among corporate organizations. Across APAC, the benefit of highly competitive airfares and hotel rates makes the region an attractive destination for corporate incentive travel. Global MNCs have corporate travel budgets that run into millions of dollars, and that is an area we get to leverage and make the most of. A robust foreign exchange has encouraged corporates to look beyond destinations within India and even travel outside the country for MICE purposes. The South East Asian region especially offers low cost packages for travel which offer immense value to our corporate customers. TM: Who are your major competitors in India? How do you differentiate yourself from other players? Litesh: Different markets have different sets of competitors. While there are big players in the industry who are omnipresent, there are also mid-size companies like us who present competition to us. In the recent years we have noticed that a lot of pure event management companies are getting into MICE space, as there is a thin line between MICE event and core-event management. The way we differentiate ourselves is basis our technology and our people – while technology helps us to make our pre-event sales process faster, it also makes our event execution smarter and more precise. Our people bring a lot of effort and experience in the entire work which we do. For our team, it’s not just about hard work and effort, we do what we do with a lot of heart! Litesh: Our future plans include expansion across the country we have Feet on Street in major cities of India and we are always looking to expand more. In 2018, we are actively looking to increase our operational footprint by opening new offices in multiple locations. In addition, our product and research teams are constantly innovating and discovering new, unique experiences to offer our customers to set our services apart from conventional travel agencies operating in India. Our aim, however, continues to remain the use of digital transformation to provide a world-class experience to each event we put together for our corporate customers. Litesh: It’s always the clients whose wishes and support motivate us to do a better job, but our other partners like the global hotel chains or even the single hotel owners have also given us a lot of support and motivation to work harder and grow bigger. Moreover, we directors have a very clear vision in our mind about the goals which we have for the company, and we are not even halfway there yet. We believe that we can change the way MICE is operated in the country and across the globe. Our hunger to grow and grow more, keeps us going! Litesh: It is not a natural gift, nor can it be taught in any of the B-Schools. If you want to be an entrepreneur, set a goal and set-up to achieve it, tirelessly! If only one can sustain the first 500 days of effort and another 300 days of a probable breakeven, the remaining days of the business have to be successful. Consistent hunger and persistent hard-work is the key for an entrepreneur to be successful!